Charisma » Tekee Media Inc.
Charisma was founded by clarinettist Roslyn Dunlop and cellist Julia Ryder in 1995 to explore and develop music for clarinet and cello. David Miller joined the group in 2003. The group has premiered many works and enjoys an international reputation for lively and virtuosic music-making, receiving critical acclaim for tours in Australasia and Europe. Programmes include works spanning four centuries and four continents. 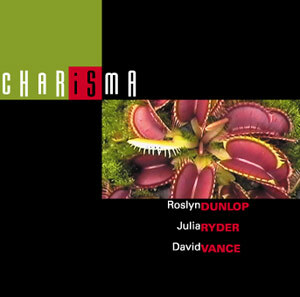 Many composers from Australia, New Zealand, USA, Britain and Germany have written works for Charisma. They frequently conduct composer workshops, and are particularly keen to encourage emerging composers. Charisma moves easily across all kinds of musical boundaries – from classical to blues, avant-garde to tangos, and minimalist to multimedia works. The marriage of styles has led to performances in unconventional venues such as jazz clubs, art galleries, bars and open spaces as well as traditional concert halls. Collaborations with musicians and organisations have led to concerts of eclectic repertoire, such as at the art exhibition ”State of Art Peace” where they gave multimedia performances about human rights at Manly Gallery and then when the exhibition travelled to regional NSW in 2004. They frequently collaborate with other musicians to expand on the trio repertoire. With guest Violinist Chris Kimber they gave many performances of the Messiaen Quartet for the End of Time, in 2004 & 2005. Other guests have included Richard Pulley (violin) and James Kortum on flute. With violist Valmai Coggins they have given a number of performances of Moya Henderson’s “G’day Africa” pieces. They have recordings on CD and record for the ABC. A recording project featuring Australian women composers Kirsty Beilharz, Diana Blom, Wendy Suiter, Katia Beaugeais and Moya Hendson is due for release in CD in 2013. Ros Dunlop is one of Australia’s leading clarinetists/bass clarinetists. She has been a strong advocate of new music for the clarinet & bass clarinet all her professional life. She has commissioned many Australian Composers and premiered many new compositions by composers worldwide. Ros has performed throughout Australia, New Zealand, Canada, the UK, Europe, Japan, Hong Kong, East Timor and the USA, Her CDs have received International acclaim. Ros is a founding member of Charisma, with whom she has commissioned and premiered many new works including many multimedia performances. In 2003 she embarked on an extensive project in East Timor, recording the traditional music of East Timor thus preserving it for future generations, her book published in 2012 Lian Husi Klamar, Sounds of the Soul ~ The traditional Music of Timor-Leste is the product of this research. Ros teaches clarinet at Sydney Conservatorium of Music. Julia Ryder has earned a reputation as one of Australia’s most accomplished performers. She has won various prizes for her interpretation of Beethoven and chamber music as well as for her performances at the Darmstadt Ferienkurse für Neue Musik. She has worked with composers such as Messiaen, Xenakis, Ferneyhough and Finnissy and has toured and recorded extensively as a soloist and with Australian and European ensembles and has appeared at major festivals in Australia, Asia and Europe. Julia records for ABC Classics, Etcetera records (Holland) and Virgin Classics. She is a founding member of Charisma and Michelangeli Ensemble. She teaches chamber music at the Sydney Conservatorium of Music. 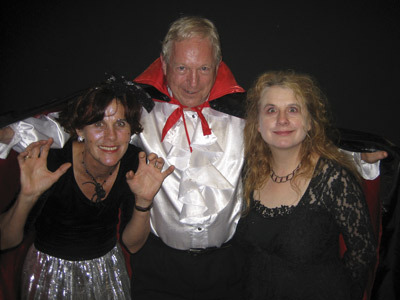 David Miller is one of Australia’s leading chamber musicians and vocal accompanists. The Sydney Morning Herald described him as “the role model of Australian accompanists. He has been awarded an AM for his services to Music. His distinguished career has included partnerships with many internationally renowned artists, Joan Carden, Marilyn Richardson John Pringle, to name but a few. He has performed with The Huntington Trio, Flederrman, The Song Company, The Australia Ensemble. He is a founding member of the Grevillea Ensemble. He has performed in the U.K, New Zealand, Indonesia, Japan, China, Saudi Arabia, New Caledonia, Korea, Vanuatu and Vietnam. He has recorded for Walsingham Classics, Tall Poppies, Vox Australis, 2MBS-FM and ABC Classics. David Miller is on the staff of Sydney Conservatorium of Music and is Chair Ensemble Studies. Charisma enjoys touring. Tours have taken them throughout NSW and Southern Queensland, even after long tours, the ensemble members still talks to each other and sustain their sense of humour – a trademark of their rehearsals! Their 2010 tour took them to Armidale, Tamworth, Towoomba, Stanthorpe and Grafton. Below is some audience feedback from that tour. This is just a short note to thank you and David and Julie for the lovely concert you gave us recently. We really enjoyed the programme and your obvious love and enjoyment in performing it conveyed itself to the audience, making it an enjoyable experience for everyone. We’ve heard nothing but glowing reports from everyone who attended, so we hope you will come again one day! The experience was hugely beneficial for the students. Please let me know when you are next intending to visit Armidale so we can organise another performance/workshop.